This is The Sims 3 Store Regency Arcade double bed that came with the October 2011 set. 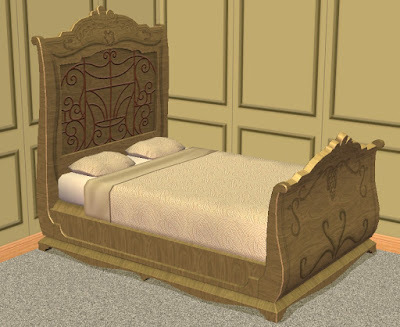 The bed is found in seating/beds and costs 2,000 simoleons. Enjoy!